The best travel itineraries are thoughtfully curated by insiders we all tap for a guide to the best of a destination. 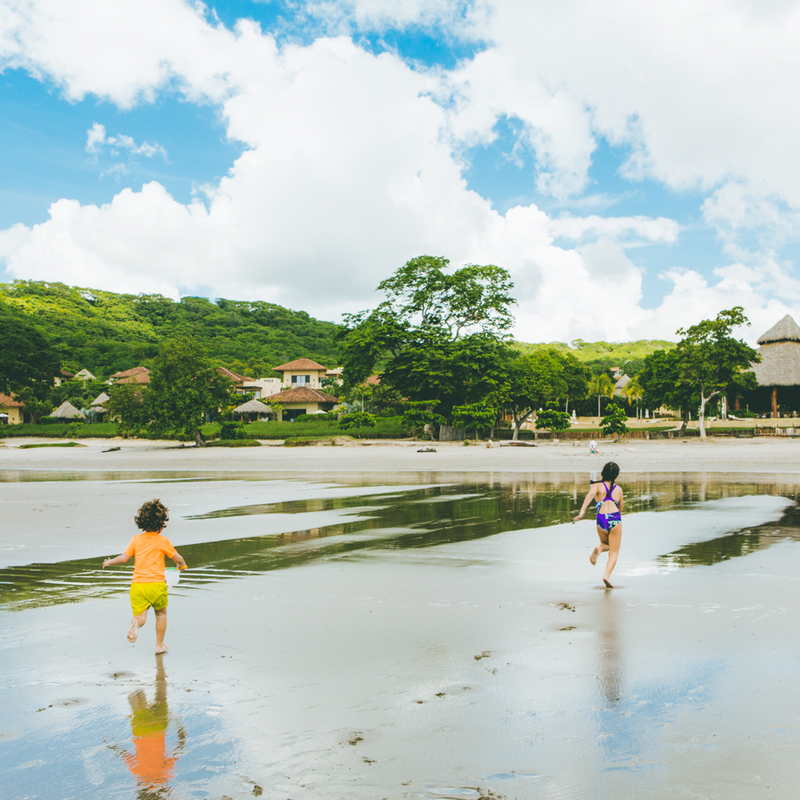 Privy to the best family offerings available at Mukul, Kul Kids Director Katherine Prado reveals her three perfect days at the resort. Here, the top not to miss experiences the entire family can enjoy. After you check into your private villa or bohio, bring the entire family together for an introductory breakfast at La Terraza, where you can enjoy a spectacular view of Nicaragua’s Emerald Coast and Playa Manzanillo. 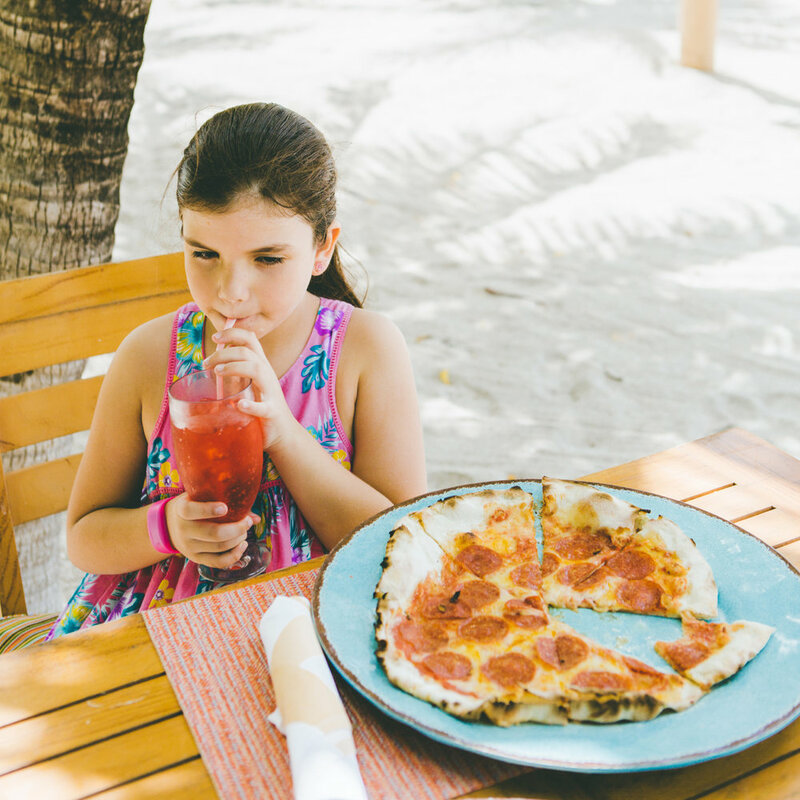 Here, order kid-friendly favorites like pancake pops and all natural, fresh fruit juices, savoring your first taste of the good life. With full stomachs and energy charged, venture to Mukul’s kids pool, where the water is full of turtles for the kids to enjoy. 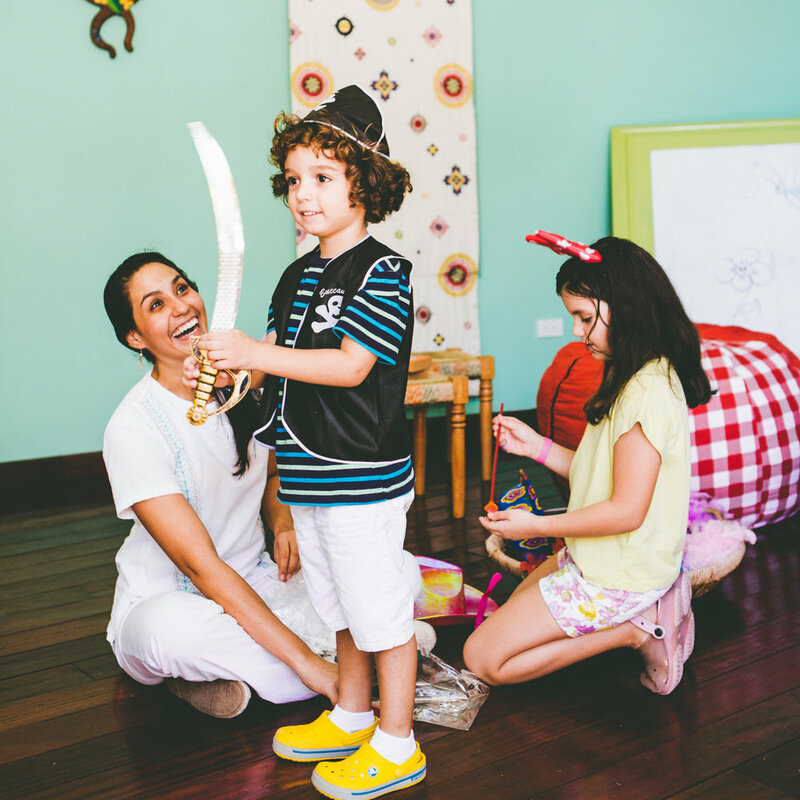 Ask the Mukul team for balloons: here, the family can enjoy a classic balloon fight where it’s okay to get wet! To recover from your early morning balloon fight, bring the family to Kul Kids to enjoy lunch. 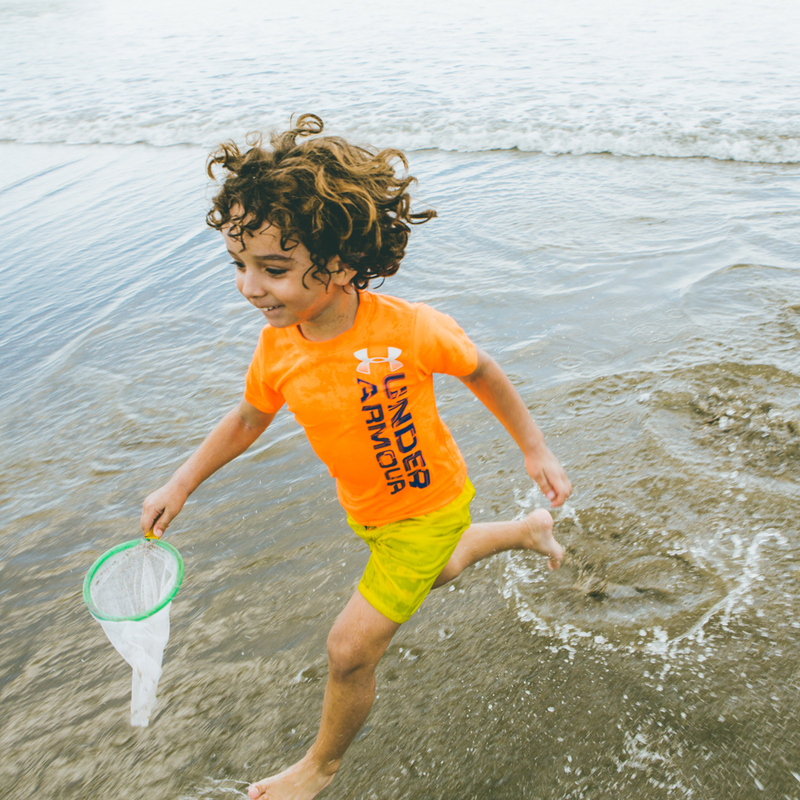 Feast on kid favorites like hamburgers and pizza before venturing to the ocean for an afternoon, four-hour fishing lesson. Cruise the Pacific Ocean on Mukul’s 31-foot “Spirit of Mukul,” a double-engine Pursuit delivering you to the best inshore waters for mackerel, mahi-mahi, and more. All you need to do is show up: Mukul takes care of your gear and bait, and we even come prepared with a radio, drinks, and snacks. Movie night is the best way to end an action-packed day of activities at Mukul. After enjoying dinner at the resort, gather your family to see one of our favorite movies – popcorn included! Begin your day with a blast of sweetness when you join Mukul’s team of chefs for a cookie class. Learn the secrets on how to make the best chocolate chip cookies in all of Nicaragua. We will provide milk for you to dunk and enjoy your baked treats after the class. 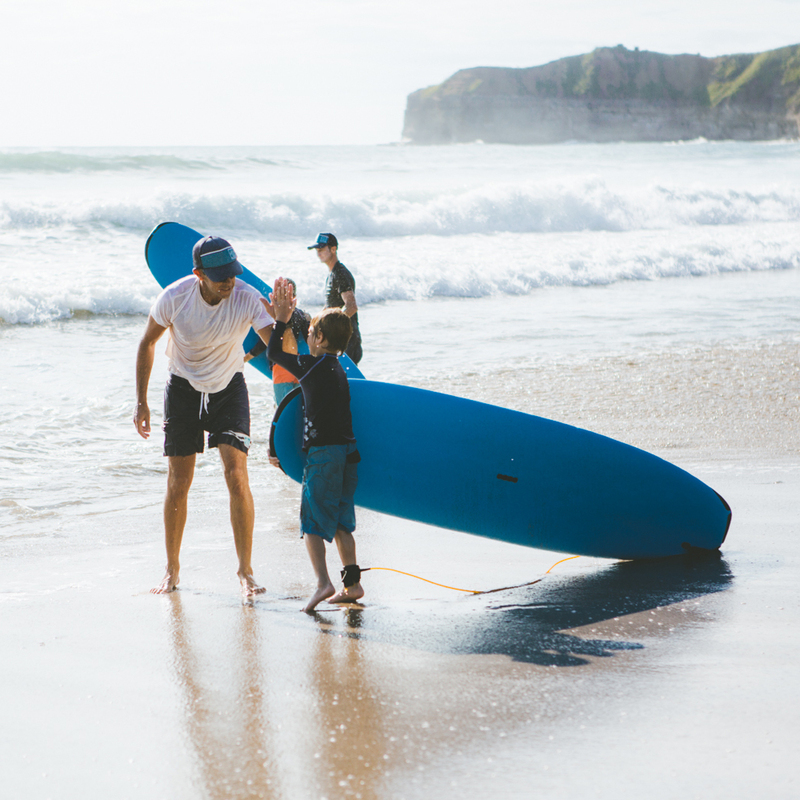 For an easy introduction into aquatic adventures, bring the kids down to Playa Manzanillo to learn from the experts at TropicSurf, Mukul’s luxury surf outfitter. Tailoring classes to all ages and abilities, get the kids on the board in a few quick and easy steps. 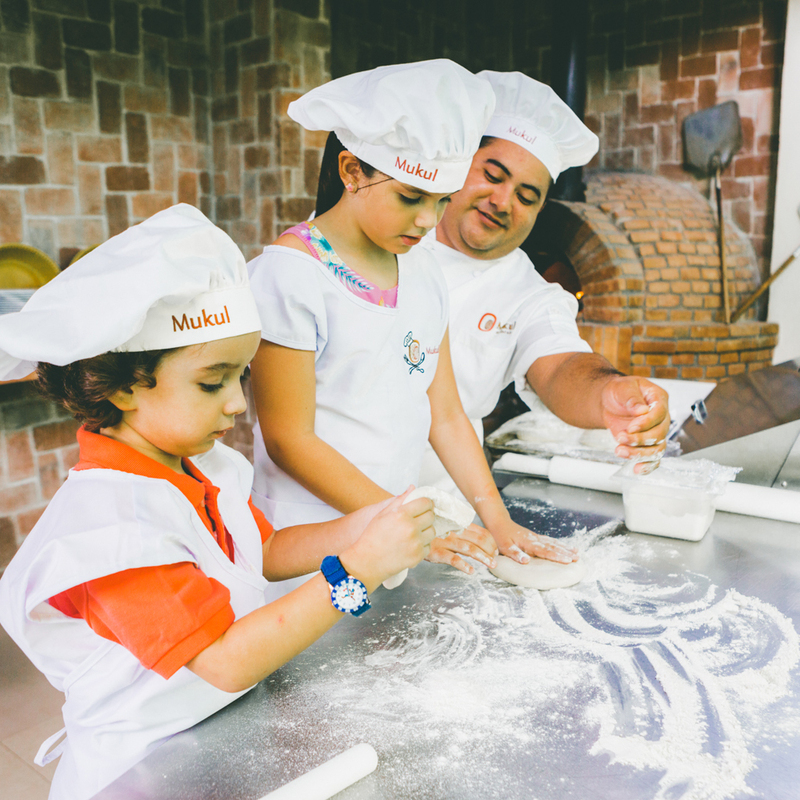 After a workout on the water, regain your energy during lunch at Tres Ceibas, where the Mukul chefs deliver the best pizza in Nicaragua. Order from many varieties or customize your own – a slice for the entire family to enjoy! Mukul’s spa treatments aren’t just for adults! While moms and dads enjoy their own treatments, so can the kids. Featuring a menu of manicures, pedicures, kid-approved chocolate masks, and more, let the kids relax as you do, too! After your luxurious family spa treatment, get into the Nicaraguan forest with Mukul’s animal experts. During a ranger-led excursion, learn more about the plants and animals who inhabit Nicaragua and the wild, lush lands surrounding Mukul. Following a comfortable night’s rest in your bohio or private villa, enjoy your morning by getting breakfast in bed. After the entire family is properly nourished, head for Playa Manzanillo. 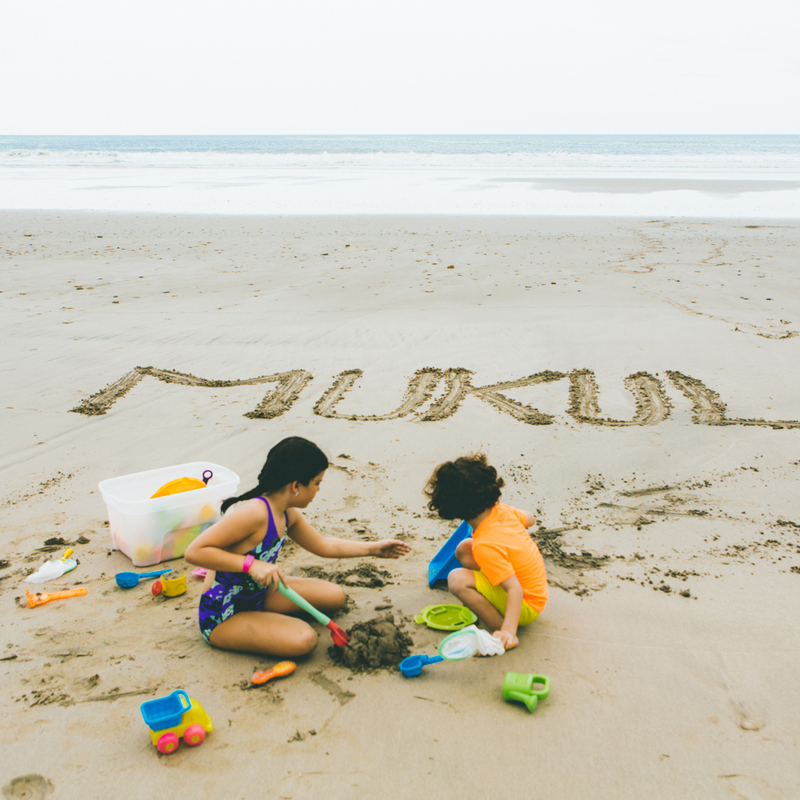 While here, ask the Mukul team for our sand-castle essentials. Whether you wish to build a fortress or a castle, enjoy an expansive coastline canvas to create to your heart’s desire. There’s so much to love about Guacalito Beach, including the clear water, white sand, and delicious food within reach. Let Mukul know you would like to set up a family picnic on the water, and our team of experts can arrange an unforgettable experience for the entire family. While the kids take dips in the ocean, enjoy a spread of Nicaraguan comfort food and refreshing beverages. Extend the family’s beach day by adding an artistic touch. 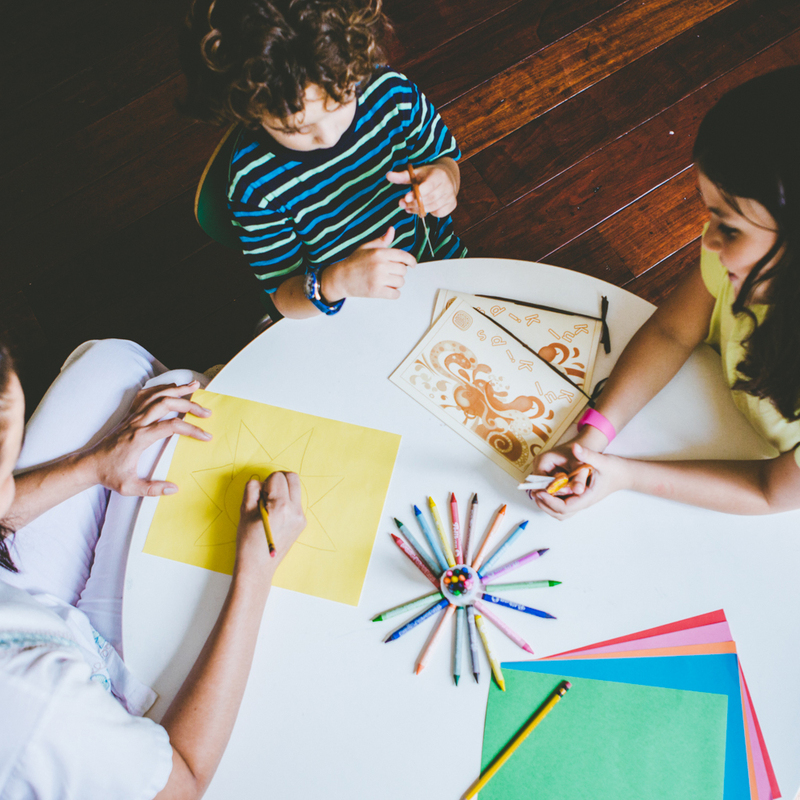 Led by yoga instructor and artist Juan Carlos Giusto, enjoy a family art class inspired by the natural surrounds. No matter the medium, Giusto will work with all skill levels to ensure you have a beautiful piece to bring home as a souvenir. For a final bang, take a family-friendly water gun fight to the next level. At Mukul, we fill the water guns with paint, so you can spray your friends with colors as bright and as vibrant as the jungle. Don’t worry – it’s washable!